Sophie knew she was a witch. Sophie also knew she was not supposed to use her powers around humans, but that didn’t stop her. 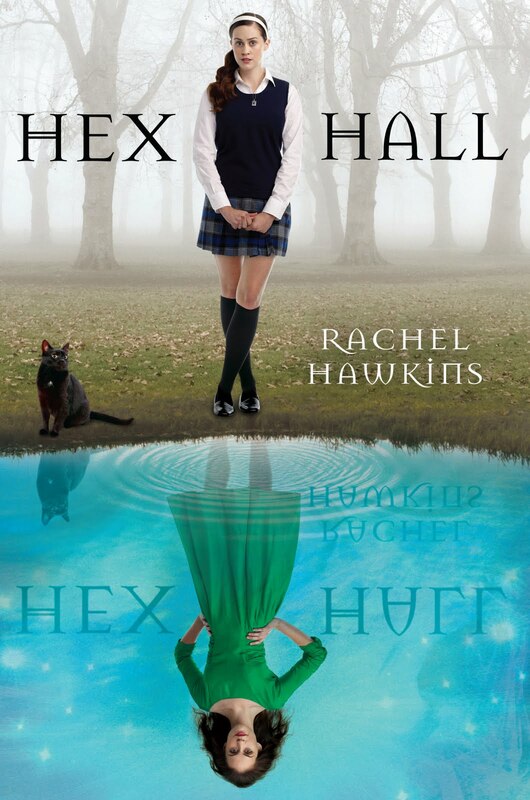 After a love potion goes terribly wrong, she is sent to Hecate Hall, a sort of reform school for witches, warlocks, shifters, and faeries. She almost immediately falls for the school heartthrob, makes enemies with her fellow dark witches, and ends up rooming with the school’s only vampire, Jenna. When Jenna becomes accused of ongoing attacks, Sophie decides to try and clear her roommate’s name and in the process uncovers some secrets about herself. This book made me laugh out loud, and I appreciated that. Most teen voices tend to feel a little stunted to me. This voice did not. The characters are also fun. Hawkins describes character with the same flare as J.K. Rowling and paints a colorful image of the school and the people in it. I wish some of the peripheral characters had been fleshed out more, though; most are given quirks that are not stereotypical, but the secondary players act more like scenery and setting than as character. However, it works because this is a comedic novel, and the snarky nature of the cast made for some good laughs. I’ve seen a lot of comparisons for the novel to Harry Potter. It would be ignorant to assume Harry Potter didn’t have a influence in this story, but this is a different type of boarding school story. They aren’t really at Hecate to learn how to be better at magic. They’re delinquents. They’re at reform school. The direct parallels to Hogwarts stop at boarding school and magical students. One thing I wish this book had done better, more directly in the vein of HP, was interaction with the teachers. We really only get a chance to see two of them, and at that really only know the headmistress. More laughs could’ve been generated by interacting on a deeper level with the teachers, such as Lord Byron. This book had its predictable elements, but it also had its surprises. What’s nice about the twist at the end is it’s not a blind twist. As soon as it happens you go, “Oh! Of course, that makes total sense,” in a very satisfactory way. Hawkins leaves the book on a note that sets up Demonglass well, and I’ll be looking for to it next spring. All in all, I a very good, enjoyable debut novel.